Original Human Diet | Eat Meat. Drink Water. The hunter- gatherer diet can be described via at least two different perspectives: ice age Paleolithic and post–ice age, or neo- Paleolithic. The diet of neo- Paleolithic peoples, including modern- day hunter- gatherers with some regional variation, essentially consisted of high- quality animal- source protein, both cooked and uncooked (including organ meats of wild game, all clean), that was hormone- , antibiotic- , and pesticide- free, naturally organic, and entirely range- fed with no genetic alteration. This diet included some eggs, when available, insects (sorry to say), and seafood. This diet was typically moderately high in fat, calorically, at a rate estimated to have been roughly ten times our modern intake (and fat was highly coveted). This included varieties of saturated, monounsaturated, and omega- 3 fats, and balanced quantities of omega- 6 fats, together with abundant fat- soluble nutrients. Neo- Paleolithic, primitive human diets, as well as diets during more temperate periods amid the ice age, generally included a significant variety of vegetable matter, some fresh raw nuts and seeds, and some very limited quantities of tart, wild fruit, as was seasonally available. There was far more plant material in the diets of our more recent ancestors than our more ancient hominid ancestors, due to different factors. The current ice age (yes, “current”), known as the Pliocene- Quaternary glaciation, started about 2.58 million years ago, around the time the first hominids appeared, during the late Pliocene era, when the spread of ice sheets in the Northern Hemisphere began. Since then, the world has seen cycles of glaciation, with ice sheets advancing during extended time periods called glacials (glacial advance) and retreating during time periods called interglacials (glacial retreat). There can be no question that our physiology is profoundly influenced by this climatologic history. We have spent highly significant time periods during our ancestral history locked in the grip of mostly ice and snow, with only the briefest periods of warmer reprieve when edible plant life could have grown over a significant portion of the Northern Hemisphere. Periodic swings in climatic conditions, from relatively brief periods of reasonably temperate conditions to prolonged, harsh, ice age conditions, are more recently understood by climatologists to have been relatively rapid. Back in the late 1980s, a group of scientists known as the Greenland Ice Core Project (GRIP) drilled cores almost two miles deep into the ice, drilling deep enough to reach ice that had formed 250,000 years ago. By analyzing the data this provided, it was realized that each and every ice age during the last 250,000 years actually began quite abruptly, typically (ironically) following spikes in global temperature. Each time this change occurred, the climate descended into full- blown glacial severity within less than twenty years, sometimes well within ten years! Only those people adapted in their physiology and cunning would have survived such sudden onsets of frigid, and unforgiving conditions (Calvin 2002). Even while the Northern Hemisphere was gripped in snow and ice during these periods, Africa was being ripped apart by droughts and wildfires, with catastrophic areas of flooding elsewhere. During any ice age, the entire planet endures a relentless range of such extremes. Studies of ancient human coprolites, or fossilized human feces, dating anywhere from three hundred thousand to as recent as fifty thousand years ago, have revealed essentially a complete lack of any plant material in the diets of the subjects studied (Bryant and Williams- Dean 1975). In other words, it is likely we subsisted for a very significant portion of our evolution largely on the meat and fat of animals we hunted. Fat was the prime commodity for its concentrated nutrient and energy value. This has even been true of neo- Paleolithic hunter- gatherers and traditional societies, as clearly shown by the exhaustive scientific work of Weston A. Price first published in 1939 (Price 1989). As omnivores and opportunists, we would always have certainly procured whatever might have been available to us for food. Permafrosts and droughts, however, left many of us limited options for long stretches of time. Fat, too, is our most efficient, dense, and prolonged- burning fuel. It is essential for an important multitude of bodily processes, not the least of which is the functioning of the human brain. What makes the use of cooking especially significant is the toxicity of most plant species. Wild plants contain any number of toxic compounds that would have made their use as food in any significant quantity perilous. Cooking is the only means by which many of these “antinutrients” can be neutralized. Modern produce has been genetically modified to reduce the presence of harmful compounds to a significant extent. Most wild plants, on the other hand, require extremely careful selection and preparation. Most starchy roots, tubers, and legumes would have been prohibitively dangerous to consume without extensive cooking. Furthermore, the energy expended in the procurement of the remaining types of plant foods easily exceeds their potential caloric value, to say little of their meager, inferior available protein content, which is so critical to our needs. Mass die- offs of megafauna following the last ice age ten thousand years ago and over- hunting by humans may have led to an increased dependence on plant foods and ultimately to the development of agriculture. Some people also hypothesize that it was an addiction to the exorphins (morphinelike compounds) in grains that sparked this widespread development. Nonetheless, it is widely accepted that it was, in fact, our extended dependence on the meat and fat of animals (rich in eicosapentaenoic acid, or EPA; and docosahexaenoic acid, or DHA) through these frozen winters of unimaginable duration that allowed for the rapid enlargement and development of the human brain. 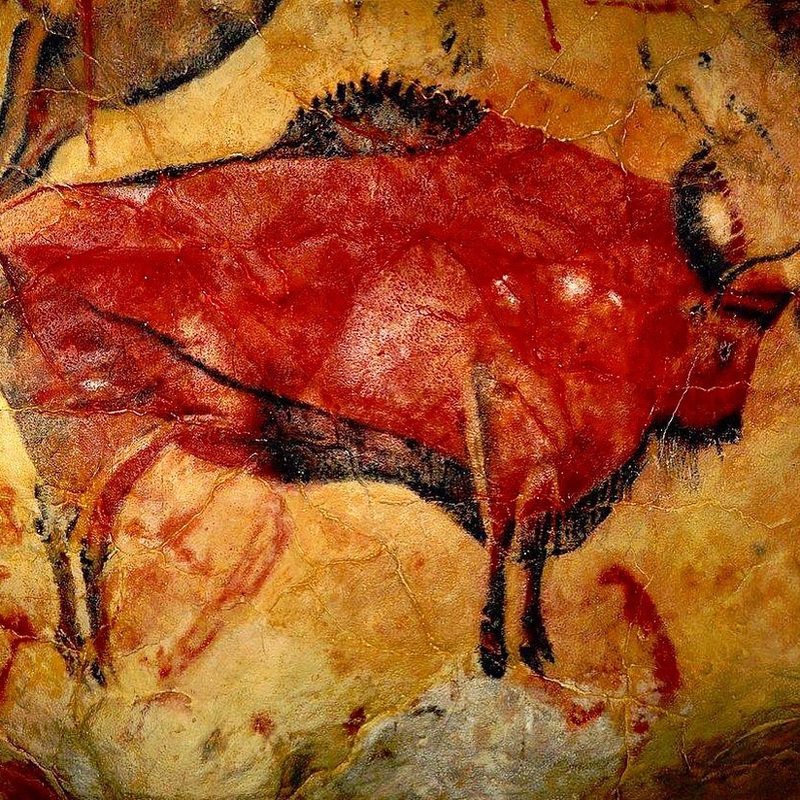 Meat and especially fat would have been the most coveted and important commodities of all. We never would have survived as a species without them. Our increased dependence on hunting also likely helped facilitate and develop the very human qualities that we most intrinsically value— cunning, cooperation, altruism, sharing, advanced creativity, the power to foresee the future and to be able to call upon the past in terms of the future, the capacity to evaluate with complexity, and the ability to imagine solutions— qualities not particularly found in other primates (Ardrey 1976). Also, interestingly, the dominant form of fatty acids in the human brain is omega- 3; in chimps and other primates, it is mostly omega- 6. This is a very significant distinction and one that is the likely result of these evolutionary, ice age–induced dietary changes. Many authors popularizing the notion of Paleolithic diets base their conclusive evidence on the diets of more- contemporary primitive peoples, forgetting that for most of our evolution, the world has been a very, very different place. Either way, it is evident from even the most recent analysis of primitive diets that animal- source foods and fat- soluble nutrients invariably play a critical, central role in such peoples’ extraordinary physical and mental health and freedom from disease, as characterized in primitive peoples and more traditional groups. It is also quite evident that diets consisting of any significant quantity of carbohydrates are a strictly modern phenomenon, one that our ice age human physiology has evolved little adaptation to— or defense against. Carbohydrates, other than the largely indigestible variety found in fibrous vegetables and greens, have generally played a minimal role at best through most of human evolution. Fruit was consumed only seasonally by our neo- Paleolithic ancestors in most places, and wild fruit is extremely fibrous and smaller in size, with less total sugar content. Many potatoes and tubers would have required extensive cooking to neutralize extremely toxic alkaloids. Wild varieties that would have been available to us through most of our history as a species can be especially toxic. In other words, it isn’t likely we were eating baked potatoes with our woolly mammoth steaks— or much starch at all. In fact, of all the macronutrients (that is, protein, fats, and carbohydrates), the only ones for which there are no actual human dietary requirements are carbohydrates. This is a critical and very fundamental point to remember: we don’t ever have to eat any sugar or starch of any kind at all in order to be optimally healthy. Our bodies can manufacture glucose, as needed, from a combination of protein and fat in the diet. As a matter of fact, glucose is really needed only in an ongoing way mainly for fueling our red blood cells. Most organs and tissues in the body, including the brain, actually prefer, if we let them, to use ketones, the energy- producing by- products from the metabolism of fats. This fact is very overlooked or misunderstood by the majority of medical and nutritional experts. There is abundant evidence that many modern disease processes, including those resulting in cardiovascular disease, elevated triglyceride levels, obesity, hypertension, diabetes, hypoglycemia, and cancer, to name a few, are the product not of excess natural fat in the diet, but of excess carbohydrates. If that sounds a little dull, fear not. Meticulous dental analysis reveals she also ate some starchy plant material, most likely to have been seeds, plus mushrooms, although probably in small amounts (Journal of Archaeological Science). Whether fungi were eaten for nutrition or for some other purpose is unknown, says Lawrence Guy Straus of the University of New Mexico. Evidence has been found that fire has been used to cook meat 1.5 million years ago. I would love the reference on that if you happen to have it. The author says it wasn’t exactly meat what made us evolve, but cooking. Sounds fair, albeit it is clear that cooking was used with meats first, probably to be able to consume them with less danger of infection in the age before refrigeration, and/or for leaner, tougher cuts. For the same reasons marinades and salting/curing became a thing, albeit cooking was probably the most basic way to eat non-fresh meats. Since cooking worked on vegetables too and in an even better way, it might have been applied more often for that reason (salt deposits were prized commodities after all). All that said, 1.5 million years sounds way too early, I don’t know if fire could have been used for cooking before the invention of tools, which is why the disagreement on date is understandable. I also have read that most primitive societies preferred organ meats, which are quite fattier, but do tend to have to be cooked more often as microbes hit them faster. At any rate, eating raw meats is easier than raw vegetables, for what it’s worth. Please read “Catching Fire” by Richard Wrangham about the use of fire for cooking in human history. No one, including Gedgaudas, is arguing that fire wasn’t ever used earlier for cooking. Just as no one is arguing that paleolithic humans didn’t occasionally eat grains. The point is that cooking fires didn’t become common and widespread until much later. For most humans and for most of human evolution, cooking fires were non-existent. You might find Catching Fire by Richard Wrangham on this subject to be an interesting read. I have little doubt it would be an interesting read. But I don’t see how it could fundamentally change the issue at hand. We know that hunter-gatherers eat a fair amount of meat raw. Or else they will let meat rot/ferment first. Cooking is just one among many ways meat is prepared. Sure, “Evidence has been found that fire has been used to cook meat 1.5 million years ago.” As far as that goes, evidence of grain consumption has also been found going way back. But, as with grains, I don’t know of any evidence that cooking fires for meat were regularly used by most humans for most of human evolution. On the other hand, I’m not arguing for a raw foods diet. I just have my doubts that cooked meat has been widespread enough early on to have altered our genetics and physiology. I am open to other arguments, though. And so I’m willing to hear the case being made. Have you written any posts about it? No, that book is the best summary of the research that I know. I personally eat beef raw because I feel much better eating it that way. However, the Andersen’s are the exact opposite and cook all of their steaks medium-well. We are all different and must listen to our bodies. I agree with that. That underlies my perspective. It’s why I’m reluctant to give too much credit/blame to genetics. I acknowledge a basic level of genetics as part of our ancient inheritance of shared humanity. But I don’t see genetics as playing a large role beyond that, at least far from the genetic deterministic ideology. Very little genetic change has happened since the Neolithic. Different diets work for different people mostly because of different factors of environment, epigenetics, microbiome, early life experience, etc. Because of unhealthy environments and lifestyles, many of us don’t have the optimal health to eat a diet like that of a hunter-gatherer. Just because they ate raw meat, doesn’t mean our seriously compromised bodies can handle it. Much of diet is about healing from the kinds of biological harm hunter-gatherers rarely faced. I have no doubt that fire has played a profound role for humanity (and I’d enjoy reading about it). But then again, so has agriculture. I categorize this under culture, not genetics. That is the only basic point I was making. Maybe that fits in perfectly with the book — I don’t know. My comment was in simply in response to LCC’s original comment. The book is probably a whole other discussion. I am reading through all entries if this website. I like your articles very much. In my opinion learning about other’s first person accounts is invaluable. It doesn’t tell you how a given nutritional plan will work for you, though. One question: how are zero-carbers cooking their beef in Principia Carnivora? I do not (want to) have a FaceBook account, so I can’t be a member. The Bear used to cook it briefly in hot fat. Which fat? Coconut oil? Butter? Other? I pan fry in tallow (rendered beef fat), or butter, or bacon fat. So um… have y’all heard of veganism? Heard of it for sure. Have not heard of optimal , healthy results of the long term tho. I love the website!!!! Ive got a couple of questions that are rollin around in my dome: some folks have said society wouldn’t exist without the development of agriculture, what are your thoughts? Or that the reason we have the ability to taste sweet things is because sweet things (in nature) tended to have things in it we need. Fruit and wha’not. What us your response to this? In have followed paleo for several years with great results, health and otherwise, I’ve just been kicking these thingz around for a min or two….thanks for your time!!! In answer to your first question, I highly recommend the book Against the Grain by Richard Manning. Regarding your second question, my understanding is that having a sweet tooth is a survival advantage. Sweet foods were generally only available during the summer for a few months. Eating sweet foods raises insulin and causes us to gain more body fat. Extra body fat was needed to survive the long lean winters. Unfortunately, modern humans live in a perpetual “summer” by having access to sweet foods year round. I have the newest edition of this book. For some reason, she removed the section on “The Red Lady of El Mirón”. I was wondering why. She says she revised it to keep it up-to-date with the best science available. So maybe she found better evidence. Or it’s possible the publisher thought she was adding too much to the new edition and demanded that she cut out other areas of text. I was curious about it, as she doesn’t explain why she revised it as she did.